Set in the 1970s, His Favorites is the story of Jo, a teenaged girl who, after a catastrophic and scandalous accident, is sent away to a boarding school. There, she encounters Master Aikens, a charismatic English teacher who encourages her to apply to his sought-after Modern Lit class. Intrigued, Jo agrees. The consequences for Jo are disastrous, immediate and lifelong. 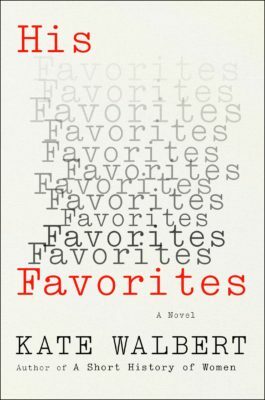 His Favorites beautifully shows how the institution closes ranks and protects Aikens when Jo brings his crimes to light, and the very steep price she must pay for being among his favorites. The silencing of Jo and the underlying complicity of the culture in which she finds herself are all-too familiar and universal. As she recalls the details of the past many years later, she negotiates varying angles of perception, memory, revision, and the limits of language to try to claim and fully voice her history. The result is a devastating, propulsive, unforgettable work of fiction, impossible to put down.